Are You Still Swiping In 2018? The deadline for adapting chip reader terminals was October 1, 2015. Yet, as we enter 2018, we still see many merchants swiping cards. We are baffled by how many merchants across America are using outdated credit card processors that don’t include the latest security standards known as EMV. This new EMV chip reading terminals utilize the chip to thwart fraud. We have already shared many times how EMV technology works as far as processing payments. The biggest problem with the delay in implementation of chip readers is the shift in fraud liability. Merchants not utilizing the EMV technology are now left holding the bag if fraud is committed. No excuses. No explanations. It’s all upon you, the merchant. The Wall Street Journal recently reported a story of a grocer that was hit with an additional $4000 fee as they had a series of fraudulent charges and had failed to switch their stores over to EMV credit card readers after the deadline. They were given a choice. Pay the fee or cease taking credit cards anymore. That would be a disaster in today’s cashless society. 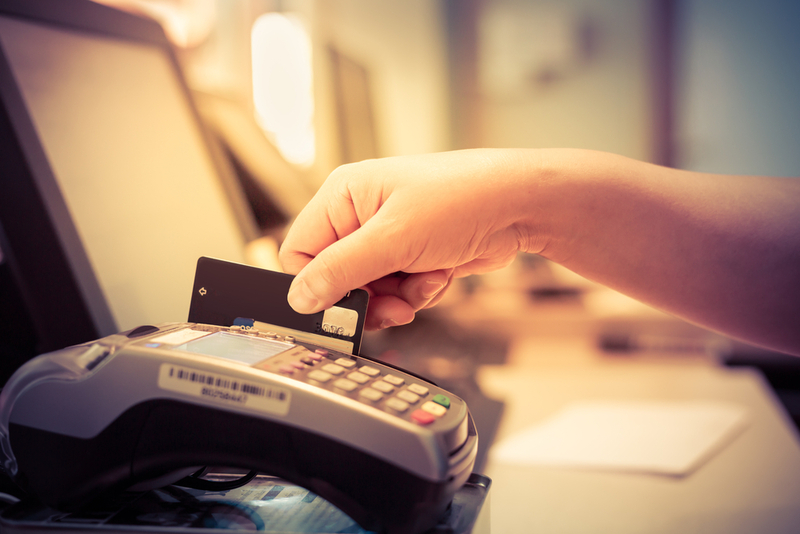 Unfortunately many small business owners are hesitant or resistant to change readers simply because of the price of EMV credit card machines. Many processors are charging upwards of $500 to $800 for an EMV ready credit card terminal. Don’t let this pricing thing hold you down from implementing new technology. At Chosen Payments, we have mobile chip readers as low as $65. We have full size terminals for approximately $200 and we have some programs that will provide you with a terminal to use for free as long as you process with us. Remember, we have no long-term contracts. You can take advantage of Chosen Payments low-cost processing and get new equipment from us. Make sure that you don’t get locked in to long term contracts with an equipment lease that will end up costing you 10-20 times what the credit card terminal is worth if you bought it outright. Say goodbye to the swipe. Process with more confidence in fighting fraud and reduce your processing fees. Please call us at 855-4CHOSEN or visit our website at www.chosenpayments.com for more information and to start saving today.